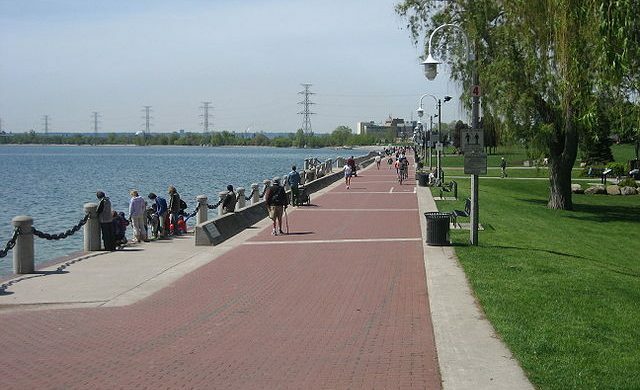 MoneySense Magazine named Burlington Best Mid-Sized City in Canada to live and raise a family in 2015. It is a well-deserved citation. 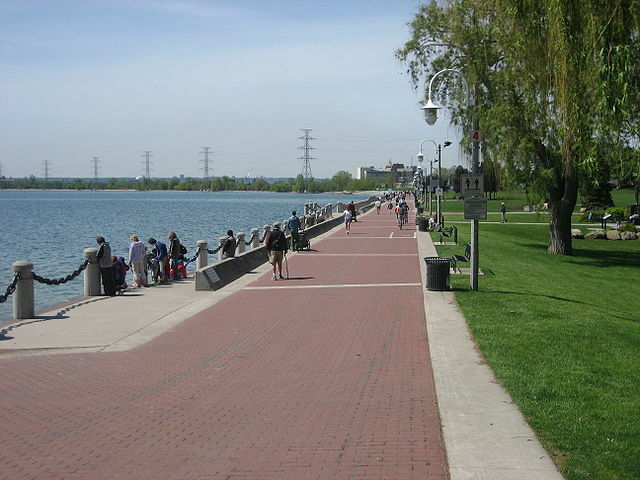 Its strategic location in the Golden Horseshoe offers many economic benefits to residents. 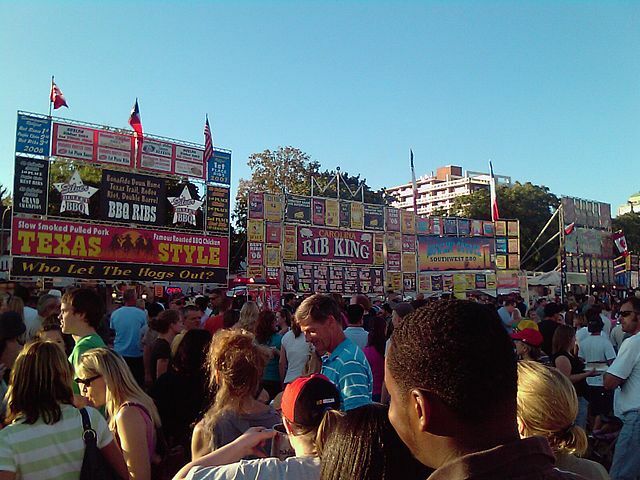 Its environment is beautiful, and its cultural amenities quite varied – from the biggest Rib Fest and Sound of Music Festival to much more all year round. Getting your household goods to Burlington is an important part of your relocation. It is critical that you plan the best method of relocation to avoid major inconveniences and financial setbacks. Anyone who is planning to move to Burlington would be worried about 3 things. ✓ How do I get all the packing and preparations done? ✓ Do I make a DIY move or hire a moving company? ✓ How do I save on moving expenses? These are all genuine concerns but let us add a few more critical questions to consider. ✓ Where do I find a good mover? ✓ What happens if my household goods get lost or damaged during the move? Planning your move to Burlington should take all these in consideration. The information will definitely help you to make the right decisions. Did you know you could end up spending more on a DIY move than a professional mover? It’s true. With a DIY move, many costs that you didn’t anticipate could creep up on you. For instance, take much longer with your move than you planned and you could pay double or more for your truck rental. Add more fuel and mileage and extra charges will add up. Truck rental companies charges late fees, too. The $19.95 advertised rates for a rental truck for in-town moves are for small trucks. They also have other charges on top of the rental rate. No matter how careful you and a thoughtful friend helping out are, accidents do happen. If you get into an accident and scratch or dent the truck, you’ll be charged. If you drop something expensive like your TV and break it, you alone are liable. Oh, and you will surely want a reward after a long and frustrating day and want to load up on food and beer, so add that to your ballooning expenses. Before you decide on moving DIY, you should study your options and compare Moving Company Vs. DIY Moving with U-Haul Truck. Majority of people going DIY on a move do so to save on moving costs. It is important for you to make an actual comparison to see if you are really saving enough to make the sacrifice. Obtain free moving quotes from reliable Burlington movers to compare with DIY moving. A very important consideration to planning your relocation method is the fact that moving expenses are tax-deductible. If you are moving to be near your place of work or university, your moving expenses may qualify for deduction from your tax return. Many expenses related to a move including payment for the services of a professional moving company are tax-deductible. This means you don’t need to do all the hard work as you can benefit from expert moving services and deduct the expense from your taxes. Find out if your relocation expenses qualify as tax-deductible under Canadian regulations. Moving is one of the most stressful experiences in life. Yes, it is exciting but the million and one tasks involved can be too much to handle alone. This is where professional movers can make moving easier and pleasant. You have the option to get help with any aspect of your move that you can’t manage. While it may mean an expense for us, the convenience is well worth the cost. Packing is something most of us don’t look forward to. For most moves, we aren’t talking about a few boxes but also books, kitchenware, china, linen, home décor plus the million and one items stored in your basement. You also need to prepare furniture and large appliances like your washing machine, dryer, plasma TV, microwave, computers, etc. Many moving companies offer professional packing services, whether partial or full packing. You can obtain packing services for hard to pack items such as glass, china, or art pieces. Professional movers can also pack-up your entire home. The movers will provide all moving supplies needed including paper, packing peanuts, tape, moving boxes, labels, etc. Professional packers will certainly help to make moving much easier. Heavy furniture can be hard to disassemble and assemble. Not all households have brawny and DIY-skilled men to do the job. Professional movers can easily perform this task. Movers also have the necessary tools to ensure your furniture is efficiently prepared for relocation and wrapped to prevent scratches or dents. Upon delivery, the movers can also assemble beds, cabinets, and other furniture for your convenience. The task of loading and unloading of household goods into and from the truck is not as easy as it sounds. Aside from the fact that boxes, furniture, and appliances are heavy, the task is also fraught with risk because items can be broken or damaged during the process. Consider also the fact the truck space must be efficiently used to prevent the need to make multiple trips and to prevent further damage or breakage. Professional movers are well-trained in handling items for moving and how to load them efficiently into the truck. They are also knowledgeable about positioning items in the truck to maximize space and prevent damage. The final step in every relocation is the safe and reliable transport of household goods. It is not simply a matter of driving a truck locally or long distance but ensuring that the goods arrive in the same condition and within a reasonable time frame. Roads are inherently dangerous. Entrusting your household goods to a professional mover means that someone is always accountable for your belongings. If they get lost, damaged, or in case of an accident, the moving company is held responsible. The law requires professional movers to carry insurance. Mandatory insurance cover for household items is $0.60 per pound. Consumers have the option to obtain additional cover for their belongings. You should know that if you hire any mover for transport of your household goods, they can’t usually be held liable for damage if they didn’t pack your items. You might feel like screaming but that only underlines the importance of packing household items carefully. If you are moving valuable items such as expensive appliances, artwork, and collectibles, you must consider moving insurance. Check if your homeowners’ or renters’ insurance covers your goods in transit. Whether you are making a DIY move or hiring a full-service mover, you may need moving insurance. You can learn more about moving insurance facts to help you decide if you need to buy coverage for your belongings. It is important to know how to file a claim in case of loss or damage during a move. Thus, it is necessary for you to find out before your moving day your moving company’s process for filing a claim. Moving company reviews and records with the Better Business Bureau will tell you how a mover handles disputes and claims. It’s a good idea to take photos of your inventory before moving day. Photos can serve as evidence should you file a claim. As soon as your household goods arrive, write a letter to your moving company to make the claim official. Note the damage on your copy of the bill of lading. If you have moving insurance, write a letter to the insurance company to file a claim. Without moving insurance, your only option is to deal with your mover. Speak to the movers about your claim. Good movers will work with you proactively to resolve the matter and provide the necessary paperwork for the claim. If the moving company fails to provide a satisfactory solution, you can escalate the complaint with the Better Business Bureau or the Canadian Association of Movers (if the moving company is a member). Movers are required to acknowledge in writing within 30 days any complaint for loss or damage and to make a compromise, offer to pay, decline to pay or advise of the status of a claim. They must also provide a reason for delay in the disposition within 120 days of a documented claim for damage or delayed delivery beyond the specified date in the bill of lading when the customer files a claim within 30 days of a local move or 60 days of a long distance move. Over-the-phone estimates don’t work because movers provide you with an estimate based only on what you tell them. Unless you give them an itemized inventory, the moving company can’t tell exactly how many hours it will take (for a local move) or how many pounds the cargo is (for long distance moves). Phone estimates are also usually low ball park figures designed to entice you to hire the mover. Where to find the Best Moving Company? To find the right moving company for your relocation, you need to compare multiple moving quotes to find the best price. 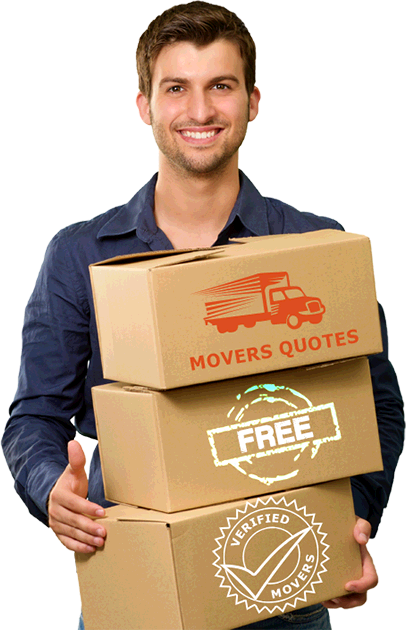 Nothing beats free online moving quotes for getting the lowest rates. Movers know they are competing for your move so they will be giving the lowest possible rate. If you contact a mover directly, you will usually be quoted their regular rate, expecting you may still ask for a discount or negotiate further. Free moving quotes are hassle-free, quick, and convenient. Why waste hours on the phone when you can get lower quotes online in only 2 minutes? You get access to top 5 moving companies near you that are qualified to handle your move with just one easy form. The best guarantee we can give with our free moving quotes is this – the movers who will bid for your move are all reputable and insured professional movers. By obtaining moving quotes using our online form, you avoid dealing with unsavory movers who may take advantage of you. Our movers are members of the BBB and professional organizations including the Canadian Association of Movers, American Moving and Storage Association, and the International Association of Movers. Our partner moving companies conduct local, long distance, and international moving for relocation to Burlington from anywhere in Canada or even the USA. Tell us about your moving needs today – take 2 minutes to fill-out our form – and you are sure to get moving quotes from the best Burlington moving companies.